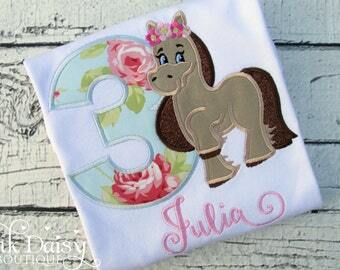 This listing is for an adorable personalized appliqué horse dress. Please be sure to leave the name and font selection (if you'd like a different font than shown) in the 'Notes to Seller' box during checkout. 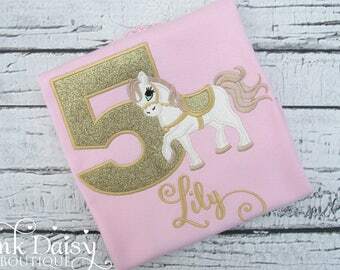 This can be done with any number (age) or letter (initial) next to the horse design - just include that request in the notes. 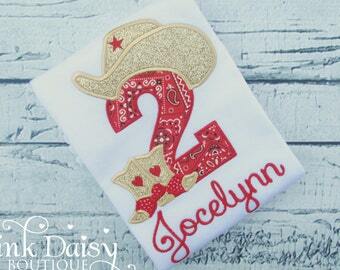 Want to change the color scheme? No problem! Just message me or leave your requests at checkout. 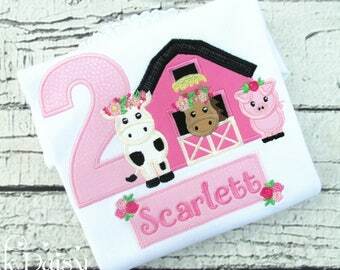 All embroidered items are finished with a soft backing to protect sensitive skin from scratchy stitches. Wash inside out on gentle cycle and hang to dry. Do not use bleach. Iron inside out on low heat without steam. Beautiful dress, great quality as always!!! 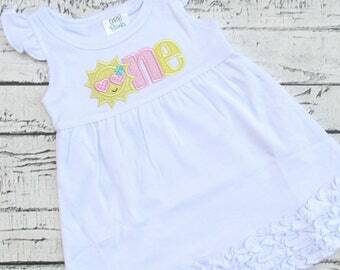 Can’t wait for her to wear!! 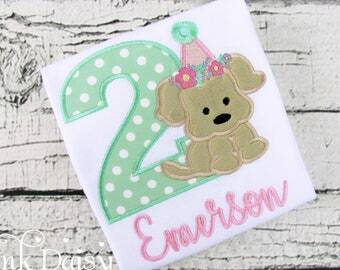 Birthday Shirt. 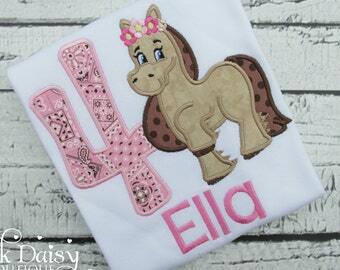 Girls Horse Personalized Embroidered Appliquéd Shirt. 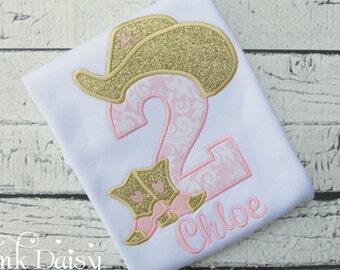 Pink Polka Dots, Brown. 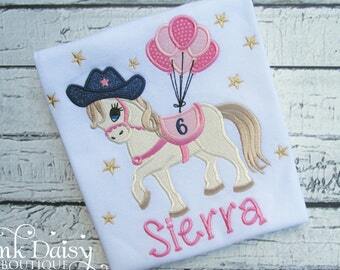 Country Cowgirl Pony Horseback Riding Party.